Amber Class were working on acrostic poems this morning in Literacy. 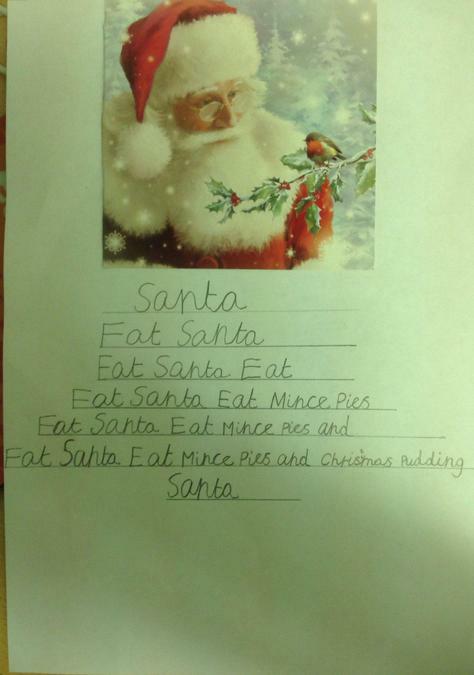 After Sahir had finished his work he asked if he could write a poem about Santa. Below is the poem he wrote completely independently.